Our maid service is really special. Treat yourself to some “me” time and cross cleaning off your list when you sign up for thorough maid services from Kimberly's Kleaning Service. Trust us – you’ll be SO glad you did! You can trust us with all your home and business cleaning needs anywhere in the Henderson, NV, area. We’ve been serving people just like you for over 25 years, and we’d be happy to meet your needs. 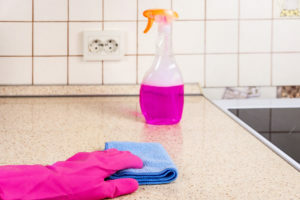 At Kimberly's Kleaning Service, we have assembled a team of high quality maid, all of which speak English and have been personally selected and trained by owner and found of Kimberly's Kleaning Service, Kimberly. In fact, all maid service requests are handled personally by Kimberly. Your satisfaction is our #1 priority, and we’ll go above and beyond to make sure your cleaning needs are met perfectly. We welcome you to give us a call at 702-263-0468 to schedule your first maid service visit from our expert cleaners. 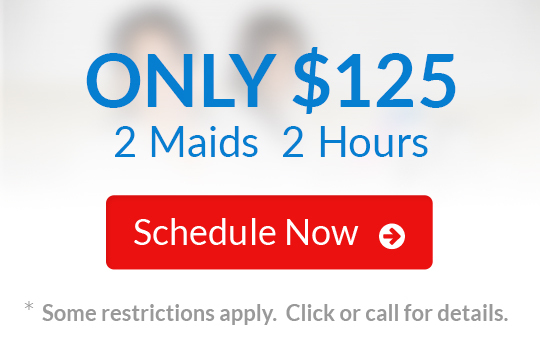 We can schedule your maid service at dates and times that make the most sense for your busy schedule. Plus we will complete your maid service cleaning in an efficient manner without sacrificing thorough, quality work. Each one of our cleaners brings a powerful vacuum and eco-, pet-, and kid-friendly cleaning products with them, so you won’t even have to think about supplying them. You’re going to be thrilled with the maid services from Kimberly's Kleaning Service! Perhaps your spouse, parent, sibling, or in-laws would appreciate a bit of time off from the usual daily grind. If so, a gift certificate for maid service from Kimberly's Kleaning Service would be the ideal surprise. You can purchase gift certificates of any amount today – just call 702-263-0468 or email info@kimberlyskleaning.com to order. It’s going to be an incredible surprise that your loved one will never forget! Now is the perfect time to sign up for maid services from Kimberly's Kleaning Service. We would love to meet your maid service needs on a weekly or biweekly basis so you won’t have to worry about it anymore. Enjoy all the benefits of a gorgeous, clean home without having to lift a finger with maid services from Kimberly's Kleaning Service! Serving Henderson, NV, and surrounding areas for over 25 years.